The Belluna Co., a Tokyo Stock Exchange listed company and a significant player in the global real estate industry has invested USD 55 million for the 447 Lunar Tower located at the heart of Colombo. The Japanese giant has already proven its long term commitment to the property market of the country by investing a total amount of USD 450 million. They have already opened two projects which include an ultra-luxurious 57 room resort in Galle ‘Le-grand’ and ‘Marriott International’ entailing 70 villas. The company’s other ongoing project includes a 300 room city hotel on Marine Drive, Colombo 3. “Sri Lanka showed a rapid growth after 2009 and opened up for many investments. Thus this is a joint venture in between Sri Lanka and Japan,” said, Director, Belluna Co., Hiroshi Yasunu. He also said, as the government of Sri Lanka expects more tourist arrivals this year, accommodation needs have to be satisfied. Thus these projects add value to the country’s economy. Therefore investing in these projects is very crucial. Located in the heart of Colombo at Union Place close to leading schools, shopping area and hospitals, 447 Lunar Tower consists of 45 storeys with 190 luxurious apartments. The apartments range from 842 square feet two-bedroom to expansive four-bedrooms at 2283 square feet. Considering the structure, it is conceptualized as a rectangular tower with a staggering view towards the city and Viharamahadevi Park. 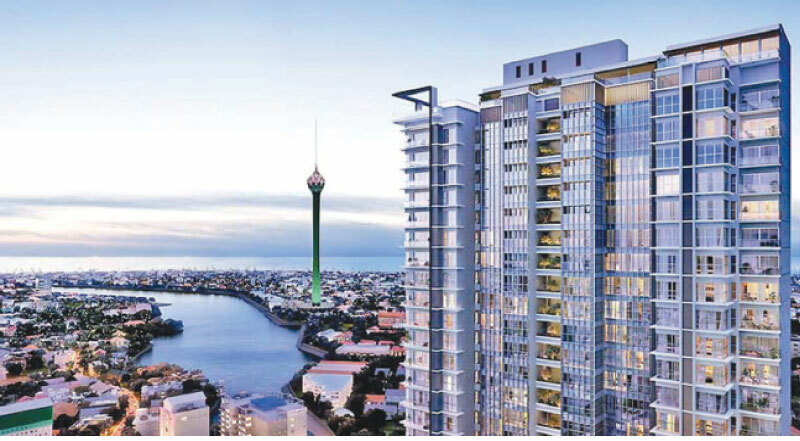 “We prioritized the requirement of understanding the culture and lifestyle of people and we wanted to give a luxury apartment with a better location which is affordable to all,” said, Principal Architect, Phillip Weeraratne Associates, Phillip Weeraratne.